This Saturday, I had the great pleasure of attending the “Great Bowls of Fire” fundraiser for the Ottawa Food Bank, put on by the Ottawa Guild of Potters. Area potters donated bowls and local restaurants and catering companies donated soups and bread. 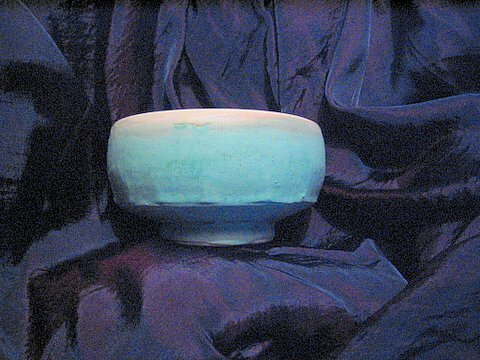 For $20, you get your pick of wonderful hand-made bowls and your pick of wonderful soups. The above is my bowl. I don’t know who made it. It was, sadly, unsigned.